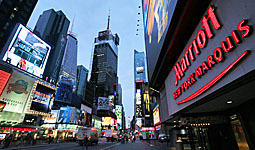 Just as "The Big Apple" has activities to suit every interest, New York City has hotel options to suit every pocketbook. Whether you're looking for a hip new hotel, an old standard or a budget inn, you'll have plenty of options convenient to the Jacob Javits Convention Center, the site of our 294,000 square foot stamp show! For a limited time WSS-NY 2016 offers show goers the opportunity to reserve discounted rooms in select New York and New Jersey hotels. Prices fit every budget, offering a wide range of options with a variety of amenities. All are either within walking distance of the Javits Center or to public transportation getting you there. 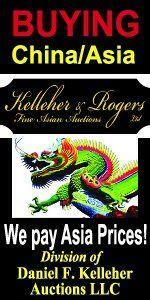 Click here to see what is available and make reservations. Whether it's your first visit or your 50th, New York City is a great destination for you and your family. While here, plan time to see the landmark sights, catch a Broadway show, do some shopping and explore small, off-the-beaten-path museums. 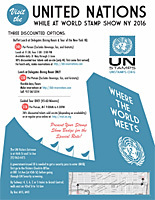 (click to learn more) Check out the special United Nations tour options and discounts available to WSS-NY 2016 attendees!